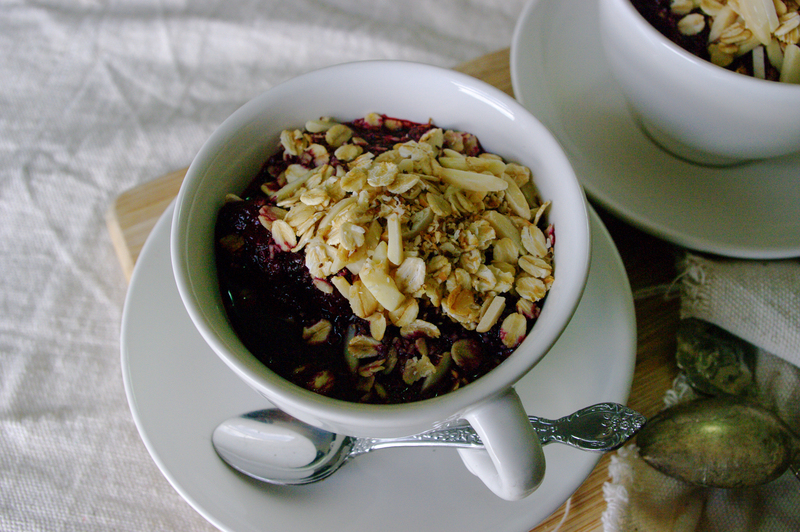 I love making this lush berry crumble; it takes minutes to prepare and can be served warm or cold with custard, thick natural yoghurt, a light drizzle of coconut cream, el naturale or with ice-cream if the whole sugar-free thing isn’t your cup of tea. The use of frozen berries means it’s super quick to prepare and the crumble topping can be personalised to suit your preferences or what’s in your pantry. Hazelnuts, macadamia’s and pistachios are personal favourites of mine, although this combination with the coconut and almonds is delicious! Place berries and honey in a saucepan over a medium-low heat and allow to gently simmer for 10-15 minutes or until berries are defrosted and have released their juices. Meanwhile, combine oats, coconut and almonds in a saucepan over a medium-low heat, stir well to combine and allow to toast for 5 minutes, or until golden stirring regularly. Stir through cinnamon. Divide berry mixture between teacups, top evenly with crumble mixture and serve. 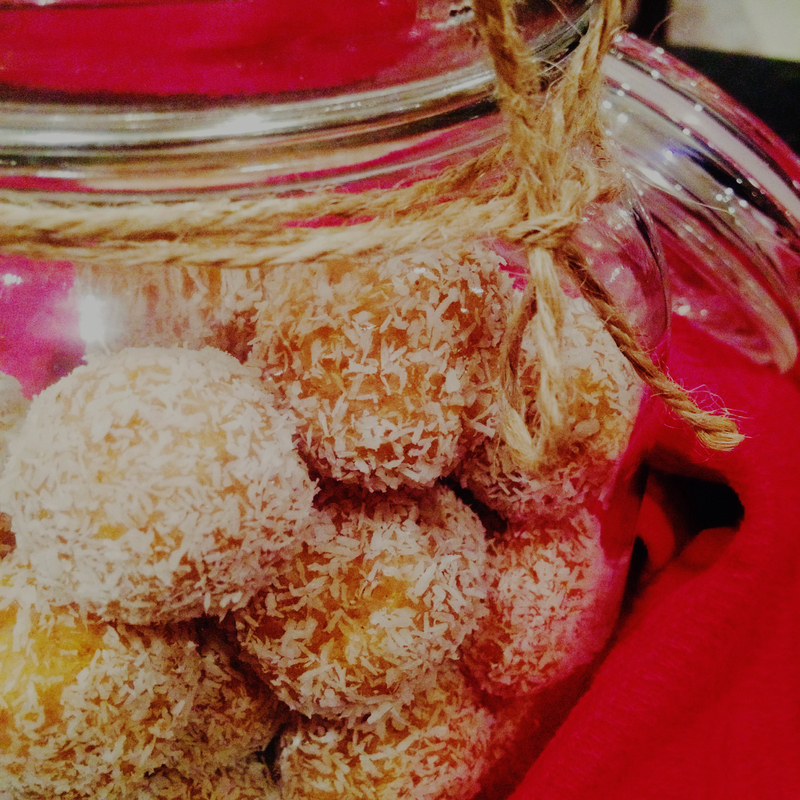 These Apricot, Almond and Coconut balls are packed with all the goodness of dried apricots and almonds. They are a delicious snack that make a fabulous mid-morning or afternoon treat. They are also perfect for kids lunchbox treats. They have no added sugar, no artificial nasties and you know exactly what has gone into them! There are so many variations of this recipe out there, with some recipes calling for condensed milk, chocolate, biscuits etc. I tried to keep this recipe healthy and full of non-naughty ingredients. That way you can have your treat and eat it too! To make these chewy sweet apricot balls, you can either chop the apricots into small pieces and combine, or use a food processor to chop and mix as I did. The way I see it, there’s no point in making extra work for yourself! Once you have your mixture, all you need to do is roll it into small balls, then roll them in the coconut. I recommend that you wet your hands to avoid the mixture sticking to them as much – but unfortunately if it unavoidable. There will be a mess at the end. This recipe is simple, yummy and easy to get kids involved with! Kids love to help out, so get them to roll the balls and to roll them in coconut! Combine all apricots, almond meal and cinnamon in a food processor and blitz until they resemble a fine crumb. Add liquid add pulse until all ingredients come together. Place coconut in a small place and use a teaspoon to portion the mixture into balls. Roll the mixture into tight balls using the palms of your hands, roll in coconut and place in a container to refrigerate. I am not much of a baker. It think it’s the pressure of non-success if you don’t follow the recipe. Things might not rise or bind and then you’ll be left with a pile of sweet goop. 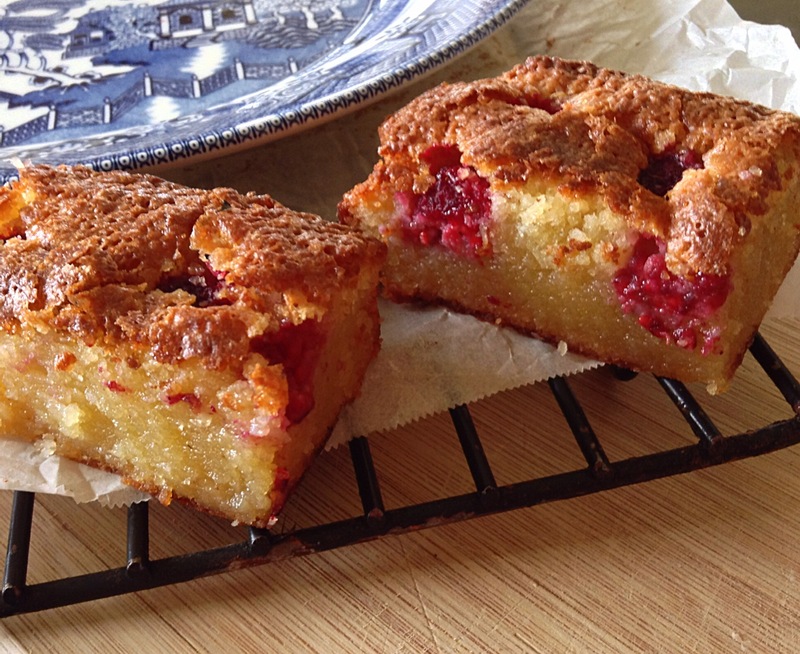 That being said, I decided to give baking another shot over the weekend and make Raspberry, Almond and Coconut Slice. Lucky I did because it is DELICIOUS! It is tasty, moist and moreish – everything you want in slice. This slice is gluten free and it can be dairy free with a simple recipe tweak. Also, if raspberries aren’t your thing you’re crazy you can replace them with blueberries or choc-chips. Preheat oven to 180C and line a 20m baking tin with baking paper. In a large bowl combine the almond meal, coconut and sugar; using a whisk to remove all lumps. In a medium bowl, whisk the butter, eggs and vanilla until well combined. Add the butter mixture to the almond meal mixture and stir until smooth and free from lumps. Slowly pour the mixture into the prepared tin and dot the top with McCain Season’s Choice Raspberries. Bake for 40-45 minutes or until golden and a test skewer removes clean from batter. Remove from oven and allow to cool in pan for five minutes before transferring to a wire rack to cool completely. 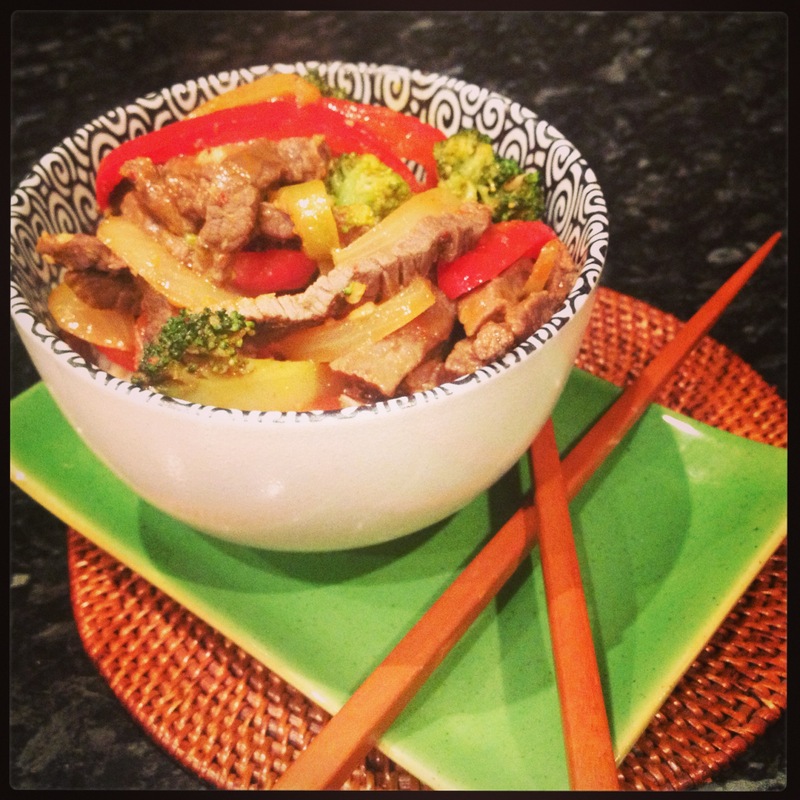 Fast and tasty – this speedy massaman beef captures the same spicy, creamy coconut flavours of a slow cooked curry. Heat 1/2 the peanut oil in a wok over a medium heat. Add the onion, garlic and chilli, stir until fragrant and translucent. Add the beef in batches to brown. Add the remaining peanut oil, sesame oil and curry paste, stir until fragrant – this will take about 1 minute. Return the beef and add the sugar, fish sauce and soy sauce. Stir until well coated. Add the capsicum, broccoli, water and coconut milk. Bring to the simmer and leave to boil for five minutes – this will allow time for the sauce to thicken and vegetables to soften. Serve with steamed rice and fresh coriander leaves.